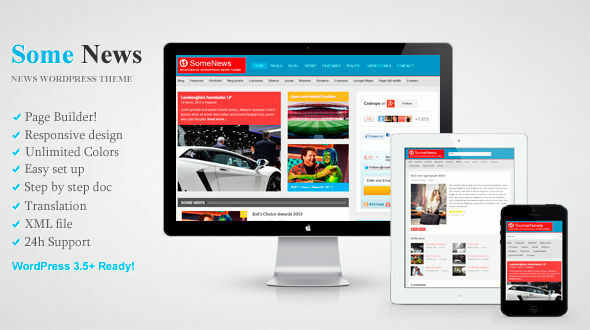 Some News is a Responsive News WordPress Theme. In theme a lot of settings, with which you can easily customize theme, as you need! Integrated Drag & Drop Page Builder, fully customizable theme colors, with help theme options panel, XML file for quick start, Localization ready, also detailed documentation and quick support!